They have established a reputation for delivering the highest quality legal services to the individual, corporate, institutional and insurance clients they represent. Originally founded in 1963, the firm operated as Keller, Price & Moorhead from 1989 through 2009. Throughout the rich history of the firm, the members have always enjoyed an unsurpassed reputation of excellence with the bench and bar. The firm/its individual members enjoy an AV-rating from Martindale Hubbell, the most respected and authoritative compendium of attorneys in the world. The Law Offices of Moorhead & Sparks will represent your Wrongful Death legal matters. J. PHILLIP MOORHEAD, born in Findlay, Ohio on February 17, 1956. Preparatory Education: Ohio Northern University in Ada, Ohio (B.A., History/Political Science, 1978). Legal Education: University of the Pacific, McGeorge School of Law, Sacramento, California (Juris Doctor, 1981). Admitted to the California Bar and United States District Court for Eastern District of California (1981). Admitted to the Nevada Bar and United States Court of Appeals for the Ninth Circuit (1982). Admitted to United States District Court, Central District of California (1996). Member of the State Bar of California, State Bar of Nevada, Los Angeles County Bar Association, the Association of Southern California Defense Counsel and the Defense Research Institute. Upon admission to the Bar, Mr. Moorhead joined the firm of Harding & Dawson in Las Vegas, Nevada, specializing in insurance defense litigation. While there, he was given the responsibility of handling the defense of a primary defendant in the MGM Grand Hotel fire litigation, garnering considerable experience in the handling of complex multi-district litigation in Federal Court. In 1983, Mr. Moorhead opened his own insurance defense firm in Las Vegas, Nevada, serving as trial counsel for a principal defendant in the Las Vegas Hilton Hotel Fire Litigation. Simultaneously, he took a position serving Of Counsel to the Law Offices of Hartman, Hosp, Richard & Schlegel in Pasadena, California, assisting the firm in handling auto, construction, fire and casualty claims, both first and third-party. 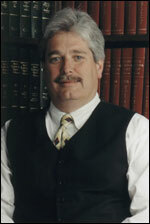 Mr. Moorhead joined the firm of Cozy & Keller (now Moorhead & Sparks) in 1986 and became a partner in 1989. He has over 20 years of experience in litigation with an emphasis in products liability, construction defect and fire litigation. He has tried numerous cases to verdict in California and Nevada, and has argued several matters before the Courts of Appeal. Mr. Moorhead serves as West Coast Regional Counsel for Newell-Rubbermaid Incorporated and its affiliated companies, overseeing their product liability litigation in six western states (California, Nevada, Oregon, Washington, Alaska and Hawaii). He was also retained by Sunbeam Corporation to supervise their products liability litigation in the greater Los Angeles area. Mr. Moorhead volunteers his time as an arbitrator and mediator for the Superior Courts of Los Angeles County.